Bold styling and practicality meet in this modern day speedster. Whether zipping along the bike lane on the way to work, or tacking on a little cardio before yoga class, the IZIP Moda will get you there fast. An integrated rear rack pairs with custom alloy fenders to let you carry your belongings in style weekdays, or leave them behind when out riding for fun on the weekends. The powerful 50 LUX safety lighting system makes sure you’ll be seen day or night. 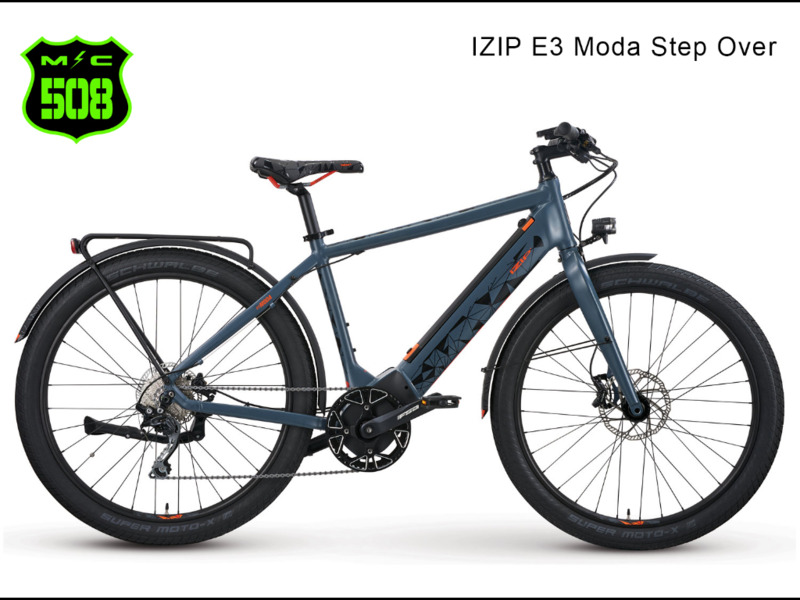 Message: Thought you might be interested in this 2018 IZIP Moda.